Businesses across the UK are in a constant battle to keep their bottom-line costs to a minimum and make savings where, and when, it is possible. 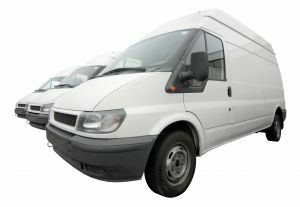 For many fleet owners this can be assisted with the use of vehicle tracking technology. As its name suggests this is a system used to track and monitor the progress of vehicles allowing company owners to stay on top of their daily operations with fast, accurate and real-time information. The hardware, which is available from firms such as Leeds-based Remote Asset Management, is installed on the lorries, trucks, vans or personal motors which uses GPS to determine their exact positioning. This has the initial benefits for businesses to inform customers how long deliveries should take, and allows them to give clients estimated arrival times. It also lets staff in the office inform drivers of any potential problems that could be experienced on their route, including traffic jams, diversions and more, while sorting out an alternative driving schedule. On top of this, using GPS tracking can help reduce the amount of fuel being consumed by vehicles, which could be up to 20 per cent, because the technology allows firms to monitor the speed of their fleets. In theory this means that through more controlled driving companies can reduce their maintenance costs because vehicles will last longer and it can make a difference to bottom line bills by reducing the amount of petrol or diesel needed on each journey. Furthermore, if businesses reduce the speed at which their motors are running on the road this could potentially help cut their insurance premiums. It has been revealed that because of the detailed data available from GPS tracking (which also allows companies to monitor more than one vehicle at once) it can help cut the cost of cover for fleets. However, it is up to individual firms to contact their insurance providers to see what benefits vehicle tracking systems could have on the bottom-line price for their vehicles’ protection. Also, GPS trackers can help save lives on the road – not only by reducing the average speed at which vehicles travel – but by keeping track of a vehicle in case a driver goes missing. More often than not most times a motor has disappeared or lost contact with base it is because of a dead mobile or someone has forgotten to check in. However, if someone has crashed or been the victim of a robbery or carjacking the GPS system with its accurate information can help emergency officials start their search for drivers and the lost vehicles – rather than leaving them to wait and wonder. Therefore, vehicle tracking systems have various benefits from cost saving measures, improved customer service and more accurate operating systems allowing for contingency plans that can be of great benefit to businesses across the country.